Summer’s winding down, and that means that rich, red tomatoes are abundant. I’m making this recipe tonight — and thought I’d repost it today for your inspiration. Enjoy! The beautiful black-eyed pea has a natural affinity to smoky flavors, and so pairs well with a favorite spice of mine — smoked paprika. 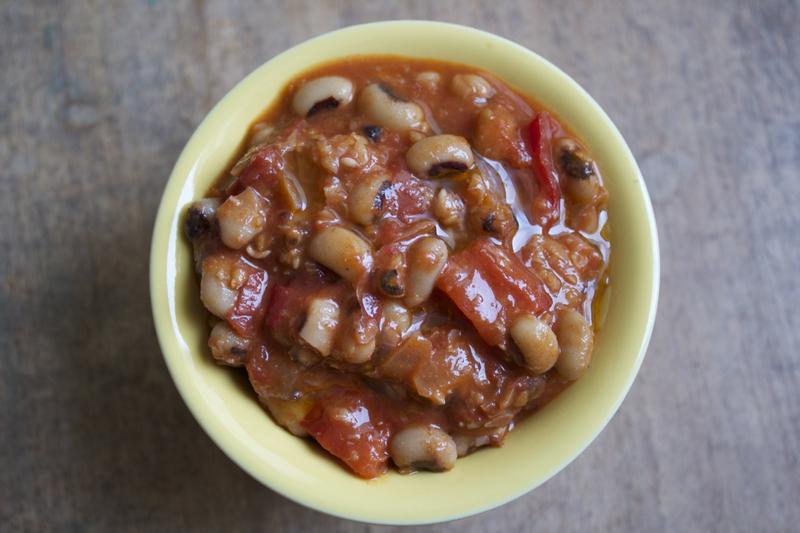 Adding the rich sweetness of super ripe late summer tomatoes and diced red bell pepper rounds out the earthy flavor of the black-eyed peas. This is a satisfying vegan main dish, as it is naturally high in protein. It also happens to pair well with grilled chicken or pork for the omnivores among us. 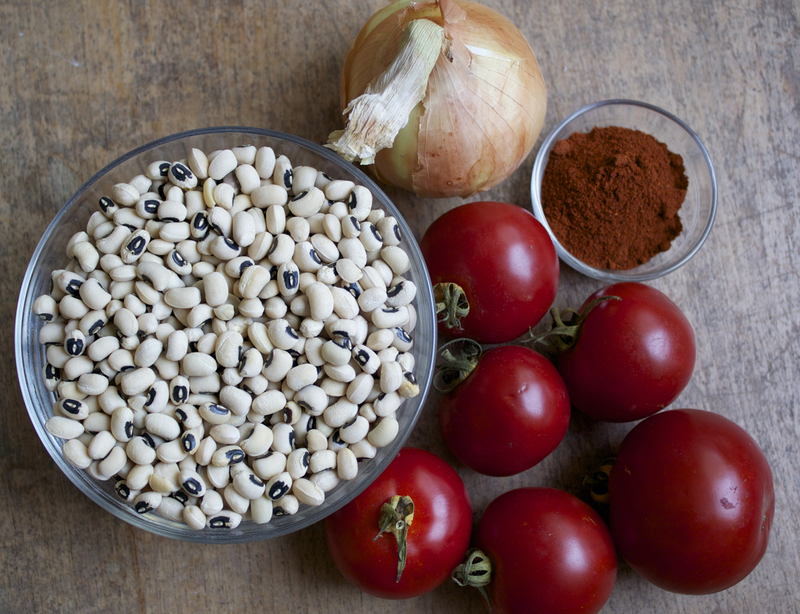 If you are starting with dried black-eyed peas, simmer them in 5 – 6 cups water until tender, about 1 1/2 hours. Heat a large covered pan over medium heat until hot. Add the oil and the onion, stirring to prevent scorching. Saute for a couple minutes. Add the crushed garlic, the tomatoes, and the bell pepper and saute for a couple more minutes. Add the smoked paprika or chipotle powder, about a tsp of sea salt, and the cooked or fresh black-eyed peas. If the moisture level is below the level of the black-eyed peas, add just a bit of water. Simmer, covered, on low heat for about 10 minutes. Stir and check for moisture. Add a bit of water if needed. Simmer another 20 – 30 minutes or until the black-eyed peas are tender and the dish looks and smells great. Taste, and adjust for salt.